an original scenario featuring New Twingo in a European city such as Paris, London, Amsterdam, Munich or Milan. 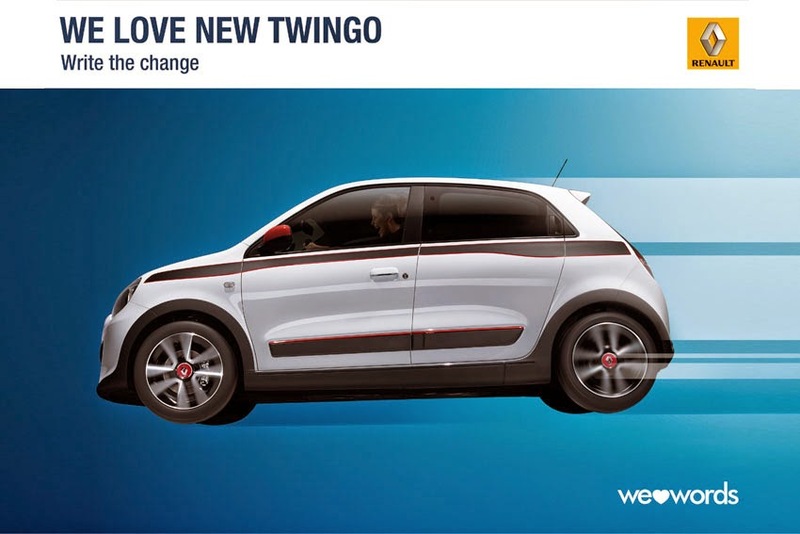 The fotonovela script has to feature all the innovation, playfulness and originality of New Twingo, underscoring its nimble and easy-handling nature and its Pop-infused colors. A jury will shortlist the best script ideas, which will then be realised by images in fotonovela form. The fotonovelas will be posted on Renault's international Facebook fanpage this summer and voted on by fans using a special app. The result of the votes will designate the prize winners.